Social Media Tailored SMT: JP MORGAN CHASE "CHARITY MARKETING"
JP Morgan Chase Community Giving, with 3.370.150 fans on his Facebook page and more than 18 million dollars shared between 800 projects in the USA, represent the benchmark using social media networks within financial sector, on what we can call Charity Marketing. From 2009 Chase has capitalized the use of social media on his strategy. Nowadays, it´s the number one financial institution on facebook ranked by number of fans with a high reputation coming from their supporting activity to the non-profit sector. JP Morgan Chase distributes from $2M to $3M annually between the more voted charity initiatives by the fans pages during the voting period. Community Giving it´s more than a common Facebook program, we could say it is a full free charity promotion platform for non-profit organisations. 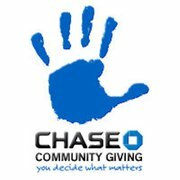 Chase provides an space where the charity can shows to the world, his project, his goals and the benefits for the community. Helping to create charity key messages. Each charity has also a donate button, allowing fans to make donations to the current projects available on the community. Additionally Chase had organized in 2011 the American Giving Awards,, which main aim is to award the community heroes. The prize is worth two million, to be shared between the five most voted charities into the categories of: Educators & Mentors; Champions of Health & Wellness; Heroes & Leaders; Community Builders, and Youth Developers. The prizes are distributed $1M for the “Big idea”, $500.000 for the second most voted, $250.000 for the third and $125.000 for the fourth and fifth most voted initiative. The American Giving Awards ceremony called more than one thousand people, counting with the presence of the president of the JP Morgan Chase Foundation, Kymberly Davis. Help our nation´s veterans: Donation program to address veteran needs. For each 10$ donated by the public, Chase donate another 10$ to the cause.